AS OF SPRING 2014 THIS PRODUCT HAS BEEN DISCONTINUED. Taking the water cooler dispensers segment by storm the new ACIS 520 TC Table Top has offered a whole new facet to water cooler systems. Standing as an environmentally friendly, cost effective and convenient means of providing the uninterrupted supply of chilled and purified water, this mini water cooler is a welcome addition to all environments with a smart and sleek design, intuitive controls . 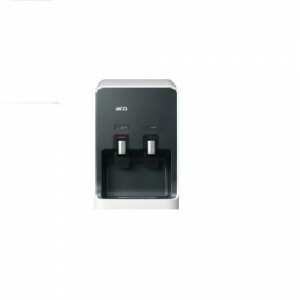 Easy to maintain the ACIS 520 TC Table Top Water Cooler can be used in both office and households. The durable and premium quality external case further makes this a solid and robust office water cooler. Dimensions: W225 x D485 x H505mm. Power: Hot – N/A, Cold – 85W. Cooling Capacity: 4 – 10°C.